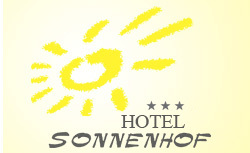 Family-run hotel. Our renovated house offers you an easy holiday in a neat environment. Cosy lounges, dining room, in-house bar, TV room, table tennis, underground garage and an elevator. Indoor - swimmingpool, hot - whirlpool, garden and sauna area on 2 floors (200 m²). Beautiful and comfortable house. Furnished with taste and love. the Garni Jasmin are waiting for you!! !